The following are photos I took on our honeymoon and you can easily see how it leaves an impression. I wanted a piece of that memory with me and now I can just put it on my nails! 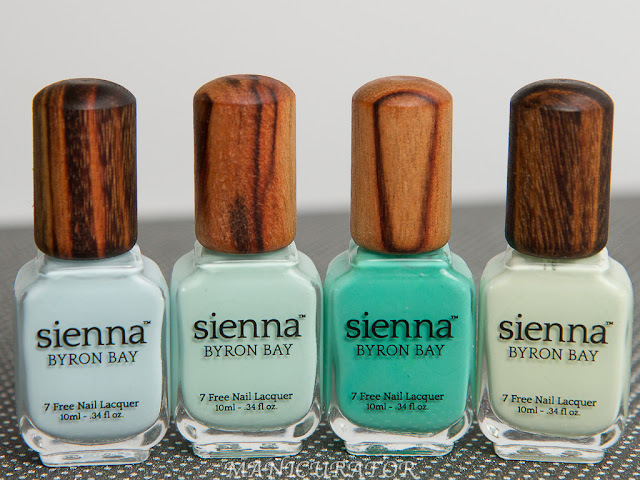 I have on three thin coats here, but you can get away with two coats. Formula is easy to work with and unproblematic! I have also tried out piCture pOlish Gloss on Top top coat for the first time here. While I didn't notice that it decreased dry time, it did apply easily and leave a nice gloss. You might find an abundance of photos in this post! I uh..couldn't help myself I love it so! The ladies at piCture pOlish really got it right and it's been a super long time waiting for this release! Also exciting for me is I'm now set up in the new home...using my new Canon EOS! So I will be going through a pretty steep learning curve transitioning from a simple (but good!) point and shoot - to completely manual. It's a lot to learn! This is a gooorgeous polish! I absolutely love it, congratulations! Congratulations, this is gorgeous and it does capture that beautiful ocean water perfectly! This is perfection! I definitely need to get my paws on it ASAP! 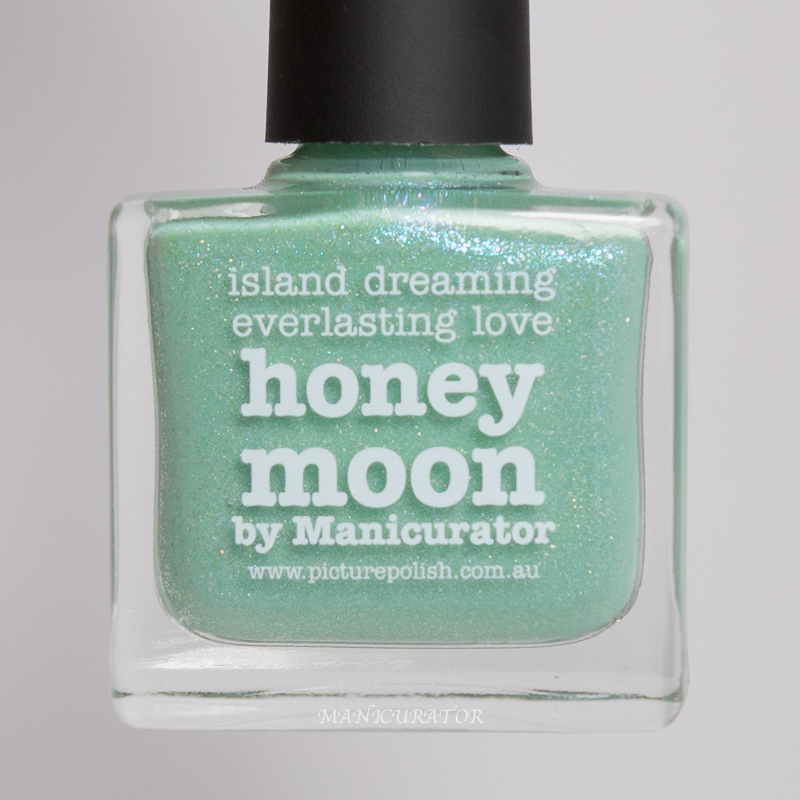 This polish is so pretty - love the shimmer with that amazing color! Congrats on the collaboration! This color is beautiful. 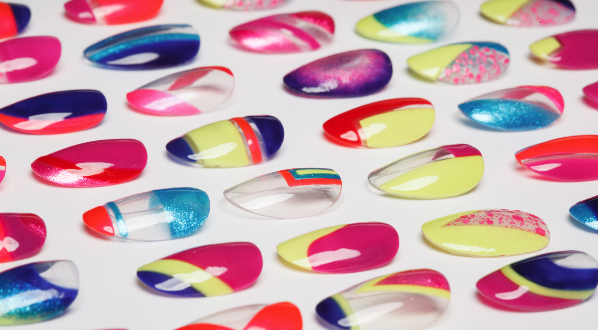 Your super sweet source of inspiration definitely translates into this gorgeous lacquer! Really well done!!!!! So pretty! The shimmer in it is lovely. YAY, congrats Victoria!!!!! I could look at pics of this one all day long! Congrats!! That is a gorgeous color!! Congratulations! That's so exciting and it's such a beautiful colour. Big congrats! You've done a gorgeous polish! Wow congrats! This is absolutely beautiful, I love aquatic themes and this looks just like your photos from your honeymoon. Beautiful! I just love this color and your nails sparkle like the crystal blue sea! Beautiful color! Congratulations on the collaboration! It is gorgeous! This is breathtakingly amazing! Amazing vision. Congratulations! Congratulations Victoria on an absolutely stunning collab shade. I love everything about it! CONGRATULATIONS! So awesome :). Lovely shade too, and I can see why you wanted a piece of that picture translated into polish ;). Wow, this is SUCH a gorgeous colour! Congrats! Perfection! I've already bought this and Meghan's. Congrats, so well deserved! ooow ! you can be proud about this polish, it's really amazing !